If TWU is elected, our working relationship with leadership and each other would change significantly. Here is a visual look at the difference in the voice we have with a Direct Relationship vs. with a 3rd party Union representation. 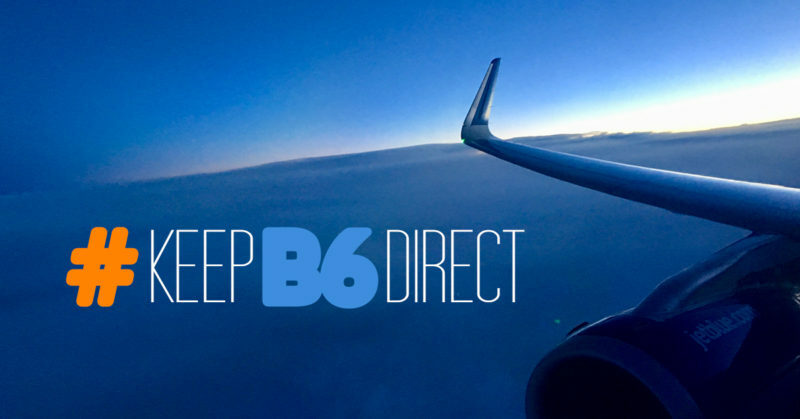 Our direct relationship is defined by various committees and programs that allow us to be active participants and hold influence over our own work rules, compensation, benefits and work environment. 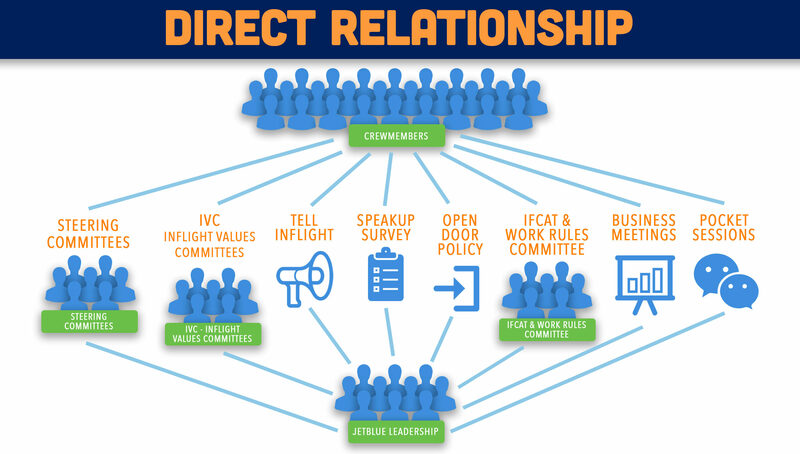 In addition to Crewmember elected committees like the IVC, we share our voice through SpeakUp Survey’s, Tell Inflight and face-to-face at our Business Meetings, Pocketsessions or through our open door policy. OUR DIRECT RELATIONSHIP Learn more about the committees and programs that define our direct relationship. MOVING UPWARD Learn how we can utilize and maximize our “seat at the table” as we move upward! If a union is voted in, a company is legally required to negotiate with the union – and the union only – over pay rates, benefits, work rules and other working conditions. JetBlue simply would not be allowed to work with the IVC (or any other Crewmember involved program) on the things we are able to today, and it would be disbanded. 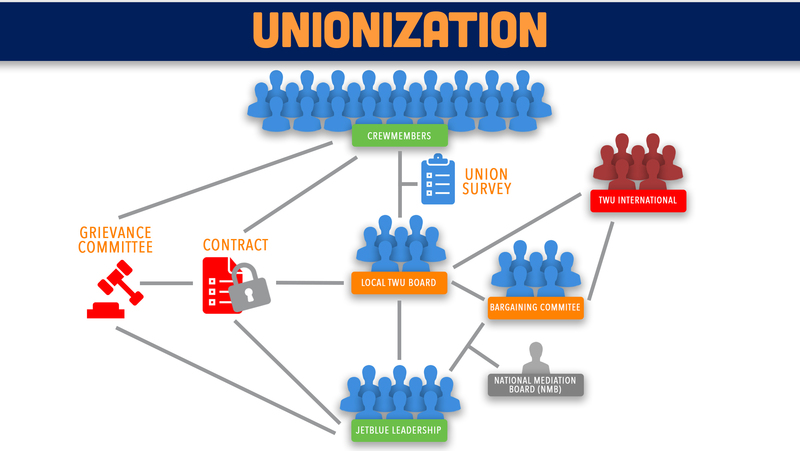 Once a union is elected, a lengthy process begins. First, Crewmembers will elect a local union board. This local board must then define the local union bylaws along with TWU International. In addition they will need to form the Bargaining Committee that will work with JetBlue leadership to negotiate a contract. TWU states that there are several ways they would gather what Crewmembers wish to see in a contract such as a survey or town hall meeting, however no specific format or structure has been defined. Once the bargaining committee is in place the negotiation begins. Negotiation of the first contract begins from a blank slate, not what we have now. Every work rule, pay scale detail and benefit would need to be written in and fought for. Historically, initial contracts take years before they are ratified (Allegiant was 7 years, Spirit was 9). Once a contract is ratified and a grievance process is defined, a Grievance committee will be formed to handle grievances by Crewmembers. The contract then stands as the rule book for whatever term it was negotiated for (typically 3-5 years).